David Beesmer, accused of using drone to spy on hospital, is acquitted. A commercial passenger plane flies overhead as a multirotor quadcopter drone used for aerial photography flies on June 7, 2011 near Zeestow, Germany. While personal drones used to exist in a niche market that catered mainly to flight enthusiasts and cartographers, they’re now popular in everything from home improvement to amateur filmmaking. In the real estate industry, using high-definition aerial drone photography is even starting to become the new standard for selling luxury listings. But using drones to photograph empty homes is quite different from using them to peek inside an occupied dwelling. Last year, New York State Police arrested a man for flying his drone near a medical building in Ulster, New York. Patients inside the building complained of the drone hovering outside the windows, which led to charges that the man—a 50-year-old mobile-home salesman named David Beesmer—was deliberately spying into examination rooms and doctors’ offices. Beesmer claimed he was only test-flying his new drone and couldn’t see into the building’s tinted windows anyway. If convicted, he could have faced a year in jail. But a New York jury acquitted Beesmer of the charges yesterday, finding him not guilty of attempted unlawful surveillance. The ruling itself is not startling or even particularly significant: Beesmer was likely telling the truth when he said he wasn’t intentionally peeking into the building, and his actions were of little or no harm. But there are bigger implications to the results of this case—specifically, the fact that existing U.S. privacy laws were used to adjudicate a case about an entirely new breed of surveillance technology. Beesmer’s attorney Eric Schneider told the Wall Street Journal that he believes government officials are overreacting to a new technology. But the power of unmanned aerial vehicles should not be understated. Most of these machines are affordable and as easy to acquire online these days as a new pair of shoes. They carry high-definition cameras that allow users to spy on anyone they want, from any angle. “Drone trespassing” and “drone stalking” were key concerns raised in a Congressional Service Report in 2013, which asked courts to begin considering how traditional crimes such as harassment, voyeurism, and wiretapping could be conducted in by a drone in domestic airspace. 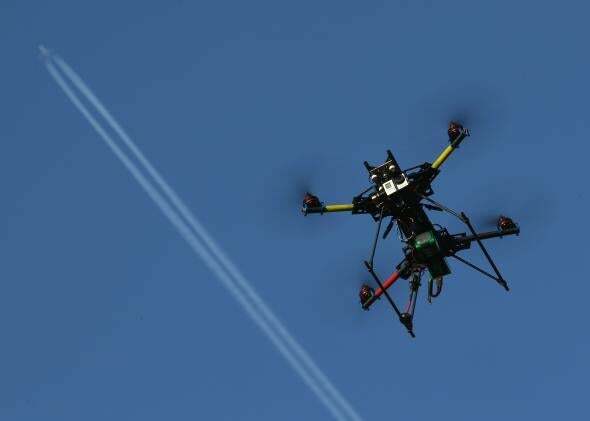 Supreme Court Justice Sonia Sotomayor publicly spoke out last year about the potential of drones to compromise personal privacy, adding that our modern-day “brave new world” commands citizens to now reconsider how much they cherish the protection of privacy. In light of the technology’s surveillance prowess, some lawmakers and privacy advocates have been calling for new legislation that specifically deals with drone-related privacy. A handful of states have indeed passed these drone-specific privacy laws. But the Federal Aviation Administration has yet to draft clear, national regulations on drones for personal use, which means that blurry case-by-case circumstances like Beesmer’s will only continue to crop up in the courtroom.